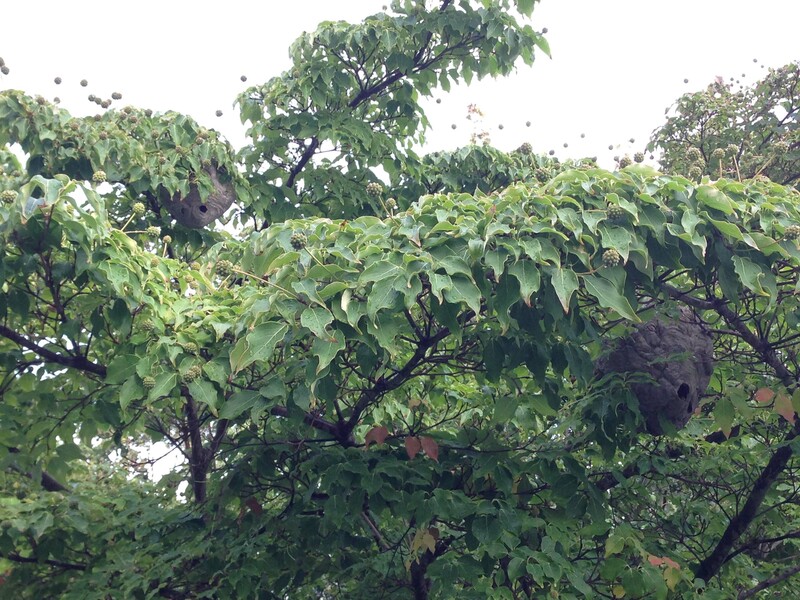 A couple of days ago, I noticed a large almost bee-hive looking ball in my front yard Dogwood. 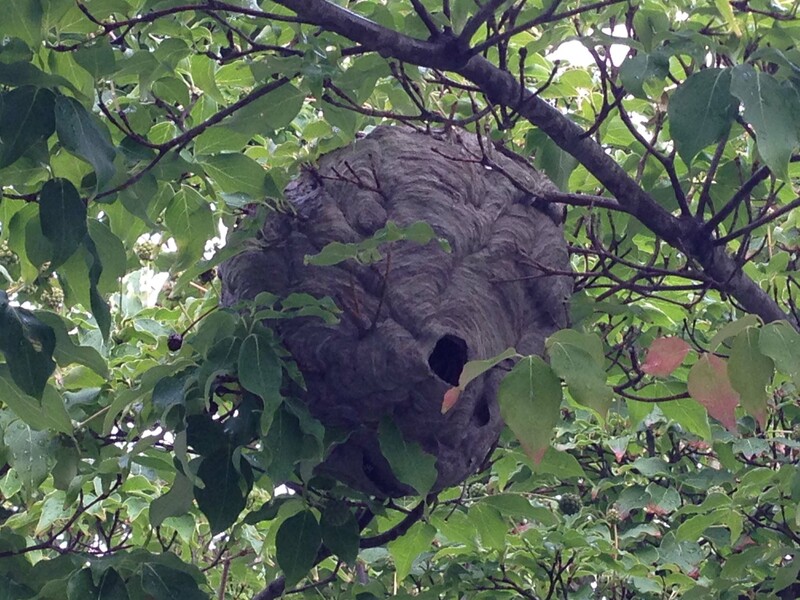 Upon closer examination- it turns out to be a giant wasps nest! 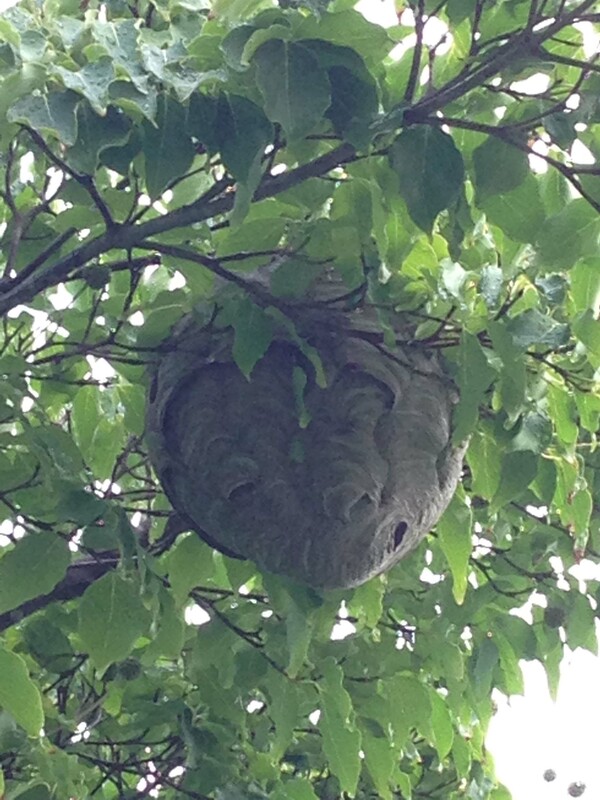 Not only was there one wasp nest- there was two. Right above where I park my car to boot! We have called an exterminator to help us deal with this problem and remove the nests, but for now they stay. You can capture wasps just like yellow-jackets, if you are worried about them flying in your backyard and potentially stinging someone. You can read our article on How To Make A Yellow-Jacket Trap to help guide you through building a trap. Heres what the nests look like in our tree. Posted in Garden Chores and Tips, Our Garden and tagged Exterminate, Gardening, Gardens, Insects, LI, LI Gardening, Long Island, Sting, VanDyke, VanDyke Gardens, VD Gardens, Wasp nest, Wasps.